A conspicuous crown moulding tops our Westland 3-Door China Cabinet which is handcrafted from solid American hardwood. Customize your hutch today. Every Westland 3-Door China Cabinet is a one of a kind piece crafted by skilled Amish woodworkers. Built to endure generations, your hutch offers beveled glass doors and sides, along with an open deck for added display. A recessed touch lighting system showcases your valued collectibles and china. 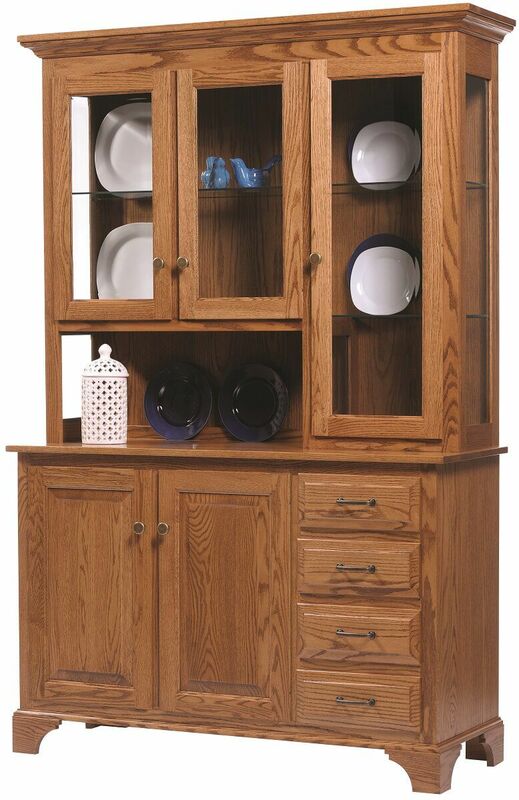 Shown in Oak, your Westland 3-Door China Cabinet is available in a number of domestically grown hardwoods. Choose your preferences from our options menu and our Amish artisans will handcraft the china cabinet that you design.